As I approach 5 years of writing, speaking, applying and tracking the growth of small data, it seemed like a good time to compile an updated resource guide with the apps, research centers, agencies, influencers, and vendors who have advanced the state of the art and continue to create what is now a vibrant marketplace of tools and ideas. This exercise has provided an opportunity to revisit some early contributors to the small data community, and discover many new players who have embraced some/all of the small data philosophy. It has also reminded me that there is a real need to continue evolving the notion of business intelligence, even as AI seems to have replaced big data at the top of the hype curve. And for companies to make better use of all the data (and content) they have already collected – not just to inform decision making, but also to share with customers and even monetize via new, derivative data assets. Meanwhile, the race among brands to provide more personalized, omni-channel, and ultimately immersive consumer experiences will require new data-driven profile management and tracking approaches. While the expanding Internet of Things (IoT) and wearables adoption offer to shift the focus of analytics further to embedded use cases and small data, and to create even more devices that both create and consume (more high fidelity) local information. Small data connects people with timely, meaningful insights (derived from big data and/or “local” sources), organized and packaged – often visually – to be accessible, understandable, and actionable for everyday tasks. Of course this framing was actually created back in the summer of 2013 and unveiled in this post. Overall, I’d say the definition has stood the test of time, and works well along side more recent functional definitions such as Martin Lindstrom’s for brand marketers (“seemingly insignificant behavioral observations…pointing towards an unmet customer need”). In parallel, I’ve also spent some time over the years looking at how data impacts the customer journey, and how smart apps and products could influence our design thinking. Readers may want to see my talk from the 2016 SPARK Boston event, which has sections on both of these topics. With this as background, the remainder of this post outlines the first Small Data 100 – 100 of the most noteworthy apps (10), research centers and agencies (10), influencers (40) and vendors/tools (40) that are fueling a new era of data-driven innovation. Of course there are many others who didn’t make the cut, so feel free to nominate additions to my list in the comments below. Thanks for reading! Amazon – sure, the site and the company’s mobile apps have fueled many case studies for using data to recommend products and the power of reviews, and there’s Alexa of course, but the move into physical stores is Amazon’s true “gateway to small data” says IMD Switzerland professor Howard Yu in a recent piece in Forbes. Credit Karma – the freemium credit score app which now claims over 60M users, is a great example of starting with a “killer use case” (get your free credit score), and is evolving into a more full featured personal finance app while continuing to hit on 3 out of the 4 core principles of small data: be simple, smart and mobile. 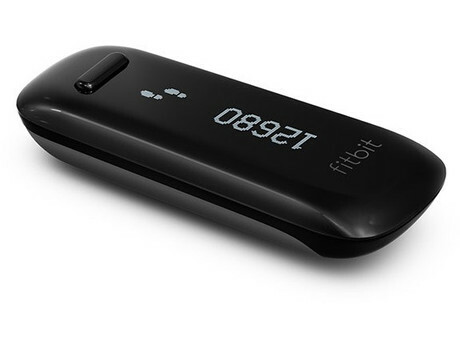 Fitbit – early on the Nike Fuelband was my poster child for the power of small data, and now that it’s retired, the Fitbit has taken its place as a mass market example of how to deliver real-time, contextual (and personalized) insights, all in a highly intuitive package. Gilt Groupe – now owned by Hudson’s Bay Company (Saks Fifth Avenue), Gilt was one of the early pioneers in retail flash sales, and has been a testbed for predictive modeling, social engagement and “best offer” style data-driven apps. Groupon – the daily deal (once) high-flyer is continuing to reinvent itself via analytics acquisitions (Venuelabs) and has mastered how to provide an app experience users want. In fact it topped the latest user sentiment ranking of retail apps by the ARC at Applause. Kayak – the travel site’s “When to Book” tool (also called price predictor) remains an excellent example of filtering down complex big data into a highly consumable, visual small data, including a recommended action: wait or buy now. Runkeeper – sitting at the intersection of big data (from a 50M strong community) and small data, this type of “self-quantification” app offer a unique glimpse at the future of engagement and ownership of personal data. Shopkick – now owned by Korea’s SK Telecom, Shopkick is a widely used product discovery and rewards app that uses beacons (already installed in 14000 stores) to integrate local small data on shoppers’ activity with other insights from 15M users. Tinder – the (in)famous dating app has been in the news (no not for that) as an example of using simple card-swiping interfaces to gather user-generated small data and set up “anticipatory computing” opportunities – see this piece in Medium. Yelp – the review site is certainly a great model for tapping the power of user-generated content (TripAdvisor is another one), and has long used big and small data to improve their recommendations – see highlights of their approach here. Open Knowledge International – Co-founder Rufus Pollock was one of the first to promote the idea of small data as a way to “decentralize data wrangling” back in 2013. The Wharton School – the school’s online business journal, Knowledge@Wharton, has been a frequent publisher of articles on moving beyond big data. The Small Data Lab at Cornell Tech – founded by professor Deborah Estrin (of TEDMed fame), the group has expanded to a number of researchers, advisors and grad students working on new apps and infrastructure for all things small data. MIT Living Lab – Multi-disciplinary center exploring technical society impacts of data, including development of a data management platform for collecting and integrating personal small data from smart phones, activity trackers and wearables, campus data, and external sources like social, weather and city data. United Nations University Small Data Lab – initiatives include those looking at small data and real-time information tools (with Vodaphone and Microsoft as corporate partners) to improve local decision making and sustainable development. Deloitte – Among the big 4, Deloitte seems ahead of the curve as a proponent for data-driven decision making, and especially looking at the value of small data – see here and here. Harte Hanks – as the “big” database marketing services company has diversified it has also been warming up to small data as a way to get a picture of consumers at a point in time – see here and here. Jack Morton – the brand agency jumped into the small data pool with a splash early last year, as it announced a partnership with Martin Lindstrom with the modest goal of “leading the small-data revolution” (they are creative guys after all) – see here. SapientRazorfish – the newly merged firm has been doubling down on its data and AI chops and has some unique perspectives on the role of data in powering the buyer’s journey – see news of the firm’s Microsoft partnership here. When selecting the 40 vendors to include in this resource guide, I started with some of the tools that I first identified when I launched this blog in 2012 as well as those I covered over the years, and then broadened my research to look at new entrants since that time, along with established SaaS and infrastructure providers who have signaled alignment with the small data movement (either explicitly or via support for one of the key tenets). Adobe – an early supplier/advocate of data-driven marketing, via its Marketing and Analytics Cloud (also sponsored my 2013 study on the topic). Applause – the original crowdsourced software testing pioneer, Applause also offers usability studies, and a growing range of competitive and product research services; the company closed a $35M Series F round in September 2016. Attivio – a leader in “cognitive search” for bringing structured and unstructured data together and making insights more accessible to business users (one of my 2013 Vendors Worth Watching); the company raised $31M in March 2016. Bison Analytics – great example of a (small data) add-on to a broadly used platform, in this case tailored analytics and reporting for QuickBooks. Brand Networks – social advertising platform using triggers based on real-world (small data) inputs like weather, foot traffic, media etc plus predictive measurement. Brandwatch – leading social intelligence and market research company with some impressive real-time reputation monitoring. Cision – Media intelligence platform that acquired Visible Technologies in Sept 2014 (social monitoring), which was one of my small data companies to watch in 2013; the company went public in March 2017. ClearStory Data – Apache Spark-based next-gen BI player with some slick data discovery, prep, blending and contextual “storyboards” to deliver self-serve insights; the company raised another $10.5M in the summer of 2016.
comScore – the media measurement and analytics provider has long been versed in making complex, cross-platform data accessible and actionable by marketing users. Ensighten – an omni-channel customer data platform, including solutions for data collection, profiling and data privacy – acquired Anametrix in 2014; the company raised a $53M Series C round in Oct 2015. Geckoboard – one of the best ways to easily access and visualize KPIs from various transactional data sources (we were a happy user at Placester). 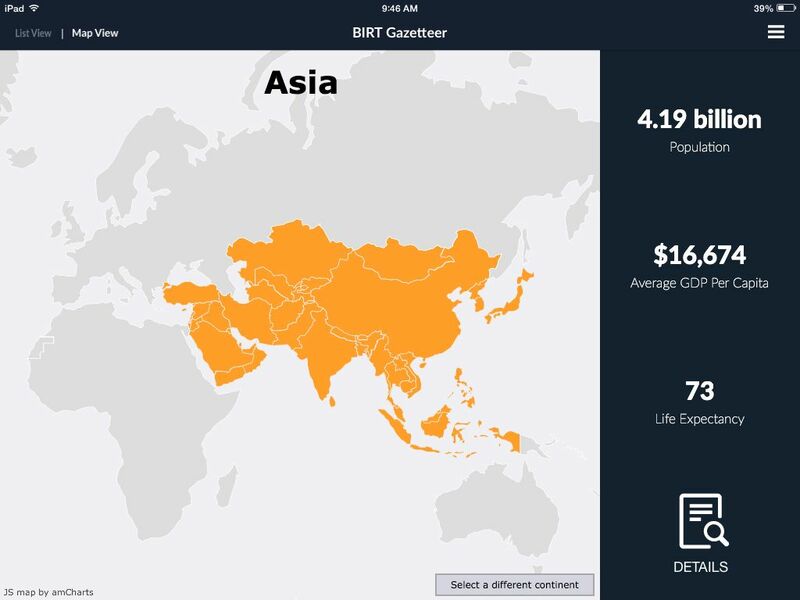 GoodData – one of the early movers bringing the power of big data to the masses, now focused on transforming business data into new revenue generating assets (on my list of the Vendors Worth Watching from Feb 2013). Google Analytics – still one of the easiest/best ways to track website traffic and turn it into simple insights. Grow – simple BI reporting and dashboard software for SMBs, the company launched at the end of 2014 to focus on small data and finding actionable insights; the company raised a $9M Series A round in July 2016. Hortonworks (Onyara) – one of the leaders in open source big data, moved into the IoT and small data arena when it purchased Onyara in 2015. HubSpot – the company known for Inbound Marketing is also obsessively data-driven, with tools like its free CRM that are consistently simple, smart and social (former client). IFTTT – Web-base automation service that enables everyday users to create simple “recipes” (applets) that link 2 services together with an action (like automatically adding all tweets with a conference hashtag to a tracking Google spreadsheet). InsightSquared – provider of business analytics and reporting tool for sales teams, and strong proponent of empowering SMBs to become more data-driven. Izenda – next-gen BI provider focused on embedding analytics to turn everyday users into citizen data scientists. Localytics – mobile analytics provider with new offerings for in-app marketing and optimization tools; the company raised another $10M in Sept 2016. Moz – an all in one SEO and local marketing platform, the company’s analytics tools feature highly actionable visuals and recommendations for everyday marketers; the company raised a $10M Series C round in Jan 2016. NetBase – NLP-based social analytics tool, their Brand Passion Index/Report is a brilliant example of how to visualize brand relationships (former client). Nimble – the first pure-play social CRM vendor, the company has always been about simple, smart, data-driven apps that users will actually want to use (one of my 2013 Vendors Worth Watching); the company raised a $9M Series A round in March 2017. OpenText – global enterprise information management leader with a range of tools for both “big content” and small and big data analytics via its Actuate and Recommind acquisitions. Optimizely – data-driven experimentation and personalization company for optimizing experiences across web, mobile and connected devices; the company first started promoting small data in 2014 in this post. QlikTech – While the company has gone more mainstream, it’s still about powering simple, mobile, contextual apps (one of my 2013 Vendors Worth Watching); the company was acquired by Thoma Bravo in June 2016. Salesforce – ahead of its recent AI push (Salesforce Einstein), Salesforce has been quietly making the case for small data – see here and here for 2 examples. Tableau – mass market leader for storytelling with data via easy to use data blending, visualization and analytics. Talech – a simple retail and restaurant POS system focused on the “small data opportunity” to provide merchants with analytics to run their business better; the company raised a $15M Series B round in Nov 2015. TIBCO – the analytics and event processing company has made a number of acquisitions (Spotfire, Jaspersoft) that broaden its predictive/embedded capabilities and has been an early proponent of small data – see here. TrackMaven – omni-channel marketing analytics vendor, the company’s SPARK events are a great way to sample the latest thinking around data-driven marketing. Trueffect – first-party media and measurement platform focused on using small data to better target and engage customers. Velocidi – multi-source marketing analytics firm focused on helping marketers bring their campaign data together and “organize and derive insights from it” – see coverage here from siliconANGLE; raised $12M Series A round in Nov 2016. WordStream – paid search and social campaign platform, with a widely used free PPC tool – CEO Ralph Folz is another GTE alum. Yesware – sales productivity and analytics tools for Outlook and Office 365.